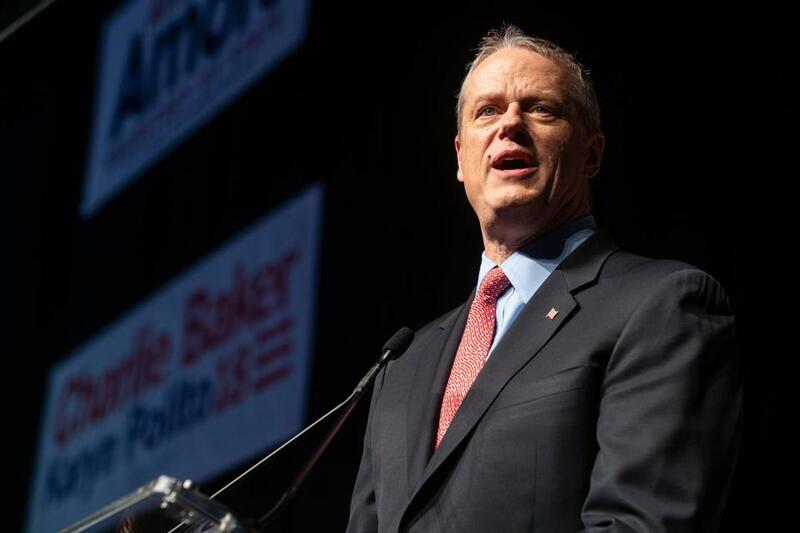 Governor Charlie Baker is speaking out against a proposed federal rule that would force family planning groups like Planned Parenthood to either stop offering abortions and referring women to abortion providers — or lose a key stream of federal money. “The Baker-Polito Administration fully supports access to women’s reproductive health care and family planning services. It is our firm position that the proposed rule should be rescinded in its entirety,” Baker wrote to federal officials, referring to Lieutenant Governor Karyn Polito. The Republican said the proposed rule “would enact unnecessary barriers to a woman’s right to choose,” in his letter to Health and Human Services Secretary Alex M. Azar II and White House budget director Mick Mulvaney. The proposed rule would end the requirement that pregnant women be offered the opportunity to get information about abortion when they get family planning advice from an organization that gets federal Title X family planning grants. Federal money already can’t be used for abortion services. But, abortion-rights advocates say, the new effort would impose a “gag rule” on family planning discussions, forcing doctors to hide medical information from their patients. The proposed rule would also strengthen the mandated separation — both fiscally and physically — between the family planning and abortion providers. Under current federal guidelines, recipients of Title X grants are required to “provide a broad range of acceptable and effective medically approved family planning methods.” The proposed rule would change that, excising the “medically approved” wording. If it becomes a rule, a grant recipient could more easily only provide information about natural family planning and adoption without mentioning condoms and birth control, for instance. Local advocates of abortion rights cheered Baker for sending the letter. “I applaud Governor Baker for standing up to the Trump-Pence administration’s dangerous political interference in people’s health and for defending the most basic medical ethics,” said Dr. Jennifer Childs-Roshak, president and chief executive of Planned Parenthood League of Massachusetts. Grant money from Title X flows to both the state of Massachusetts, which doles it out to local groups, as well as individual organizations in the state such as Planned Parenthood. That money supports 93 health centers in the state, according to Planned Parenthood League of Massachusetts. The letter from Baker comes the same week he is poised to sign a bill that will repeal an unenforced 19th-century state law that criminalized abortion. The repeal effort was sent to his desk by lawmakers concerned that the US Supreme Court may overturn its Roe v. Wade ruling. Senate President Harriette L. Chandler cheered his Baker’s cred on the issue. “I think he’s been a good friend to people who really treasure abortion rights,” the Worcester Democrat said. If Baker wins the Republican nomination on Sept. 4, as expected, he’ll face one of two Democrats — Bob Massie or Jay Gonzalez — on Nov. 6. Both Democratic candidates support abortion rights.